An easy, fun way to add a pop of color or bring life to any room in your home or office is with these beautiful Floral throw pillows. 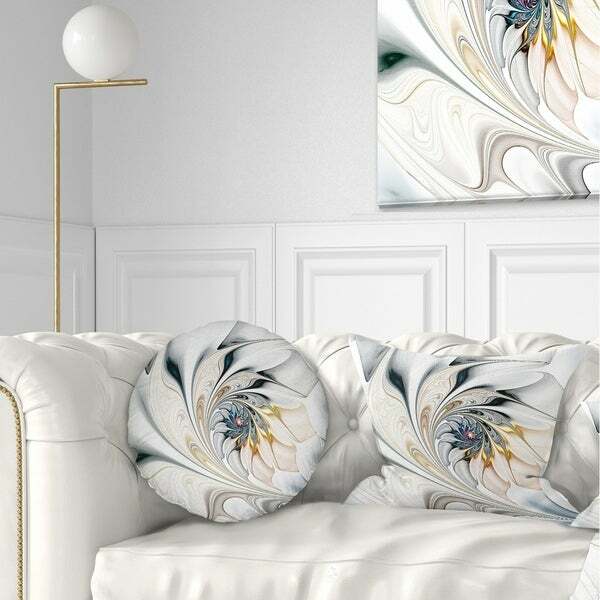 Dress up your bed, sofa or lounger with this decorative design art pillows. Perfect as bedroom décor, lounge décor Traditional living room décor. It adds a fun accent to any room. Throw pillows really do work wonders: they can transform any room from uninviting discomfort to warm and welcoming. And they really do go almost anywhere - arrange a couple on the couch or sofa, place one in your overstuffed chair for extra coziness, toss a couple on the bed and prop yourself up for a great read. Option: 16 in. x 16 in. | 18 in. x 18 in. The colors are so vivid, the fabric is soft, I loved these pillows so much, I am ordering another to go with the two i have. I also ordered the canvas print. I highly recommend this pillow, I am using it in my grey sofa. I did purchase the White stained Glass Floral Art Throw Pillow to go with the set for my bedroom. It is so cute. Very soft and nice for viewing on the bed. I think it adds a bit of elegance. Option: 18 in. x 18 in. The pillows make the room pop with the colors and the design on the wall to match. 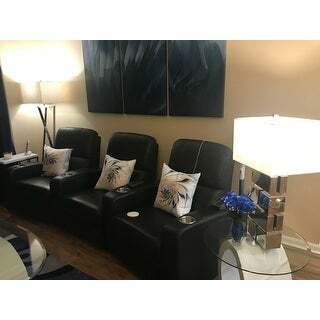 Everyone mentions how they like the matching and it really looks like a professional came in to help you decorate. I really like the "feel" of the pillows...the colors and pattern are very pleasing to the eye. I am seriously considering purchasing the wall décor matching the pattern. I recommend these items. They came quite timely. Beautiful! The print is very distinct, and exactly as shown on the website. Easy to clean, the pillow is 'enveloped' inside the case so is easy to remove. As I had this delivered to my work address, all my co-workers were able to see it, and they thought it was so cool! They had never seen anything like it, and wanted to know where I got it. They are in awe of my shopping expertise! These pillows are so beautiful. I really love them on our new couch!! I really like the pillows! They really compliment the room. Great price too! They look exactly like the picture! I also purchased the matching wall clock. These pillows are gorgeous. With they came in other colors I would buy more. The colors are bright and eye catching. I get a lot of compliments on them. They look beautiful on my navy blue sofa. would highly recommend. Option: 12 in. x 20 in. I love the pattern on these pillows. They look like a piece of art work. Very different. I also ordered one of the canvas prints. They go well together. Option: 16 inches round | 18 in. x 18 in. These look great in the room and are a fun addition to the matching art work. Option: 12 in. x 20 in. | 16 inches round | 18 in. x 18 in. Love the impressionist design. You don't find just anywhere. Well made and classy. Nice print however the fabric is very cheap. My bed sheets are thicker and are made with a better quality of fabric. Very pretty but a bit smaller and a bit under stuffed but still keeping them. Option: 16 in. x 16 in. Beautiful they match the tin art work exactly and unzip to wash cover if needed. "Is the picture available ANYWHERE?? OR, the Purple examples of throw pillows, that display the wall art...are ANY available??? Thanks so very much!! Jan"
Please see item # 19235707. I hope it helps. 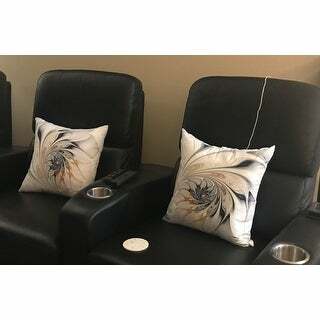 I bought the picture and the throw pillows at the same time through overstock. "Is the matching throw for sale anywhere?" Unfortunately the throw is not in stock. Beautiful for my daughters new gray chairs!